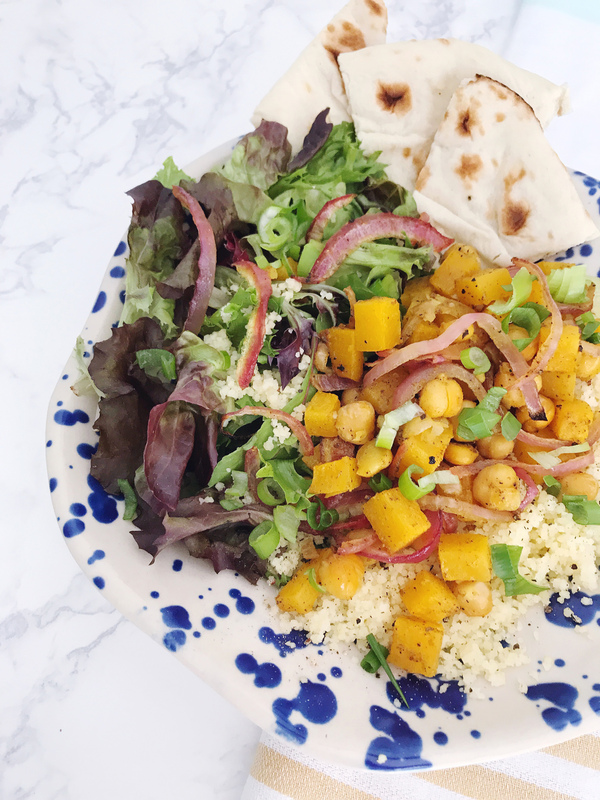 Spiced Butternut Squash and Chickpea Grain Bowl. Cube butternut squash into ½ inch pieces. 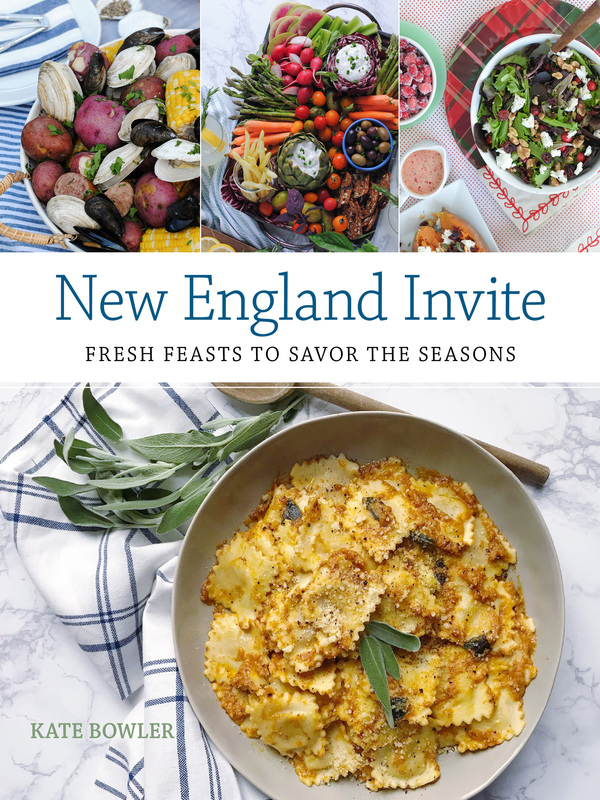 In a small bowl, combine garam masala, curry powder, lemon juice, olive oil, and salt and pepper. 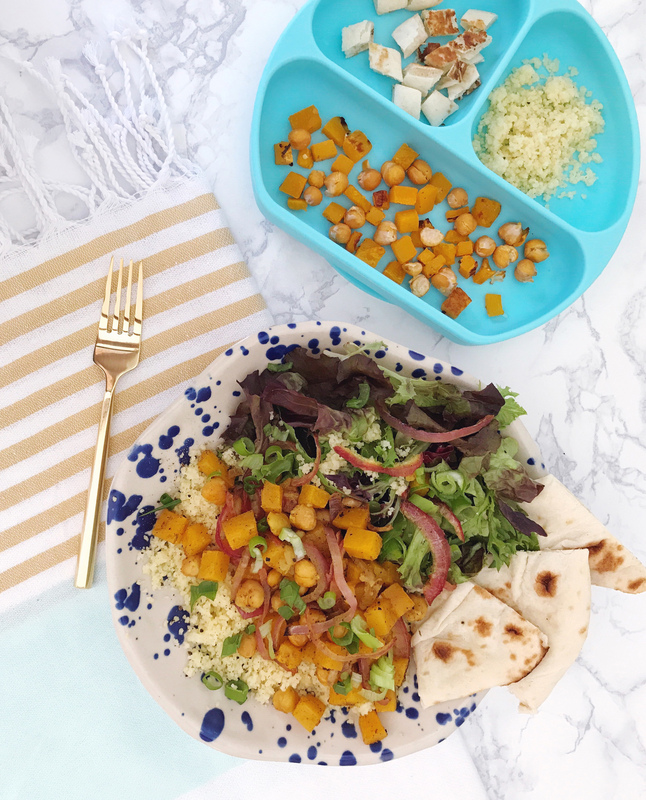 Reserve 1 cup of squash and ½ cup of chickpeas on a separate baking sheet. 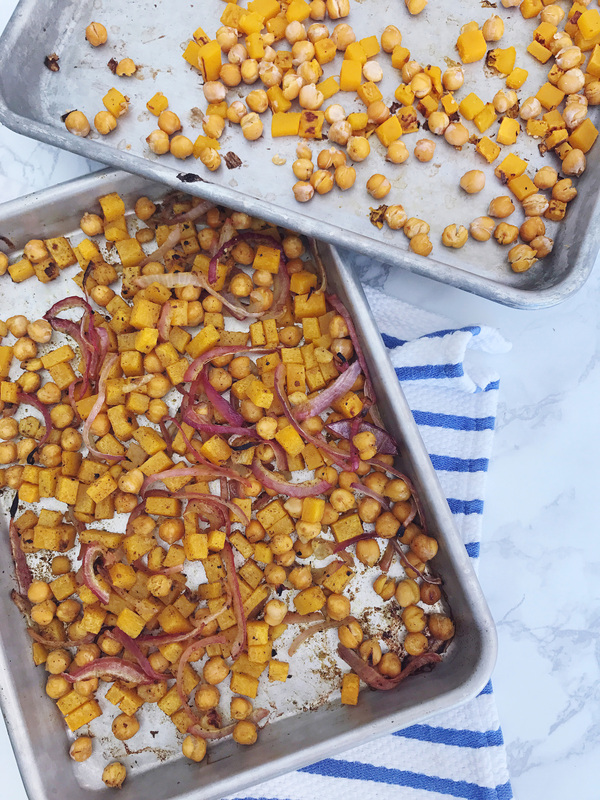 Combine remaining butternut squash with chickpeas and sliced red onions on a baking sheet and toss with spiced oil mixture. Bake at 400 degrees for 25-30 minutes, remove and let cool slightly. 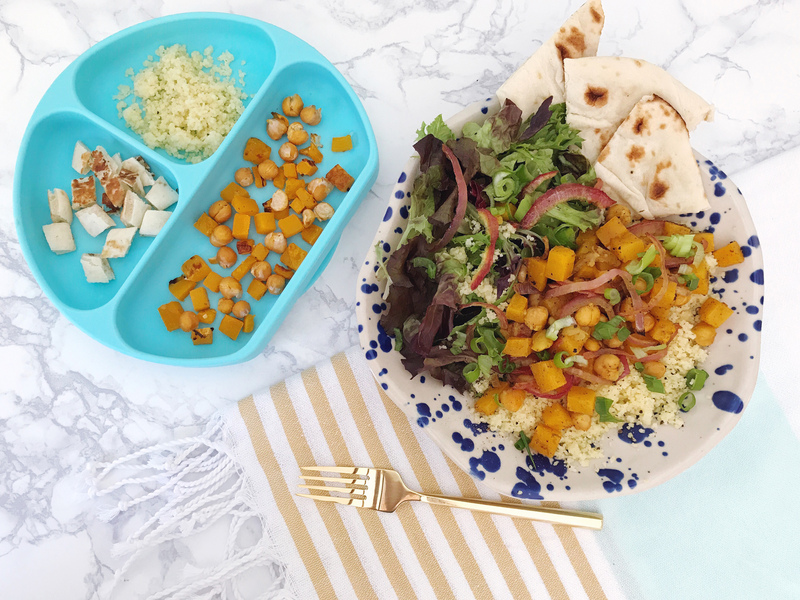 Toss butternut squash, chickpeas, and onions with greens and couscous. 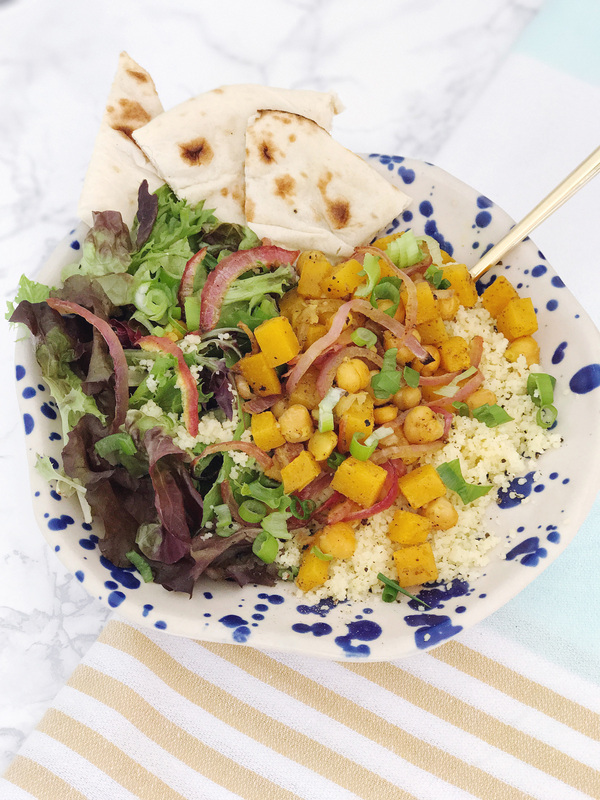 Dress the bowl with fresh lemon juice and drizzle olive oil over the top, serve with warm naan. 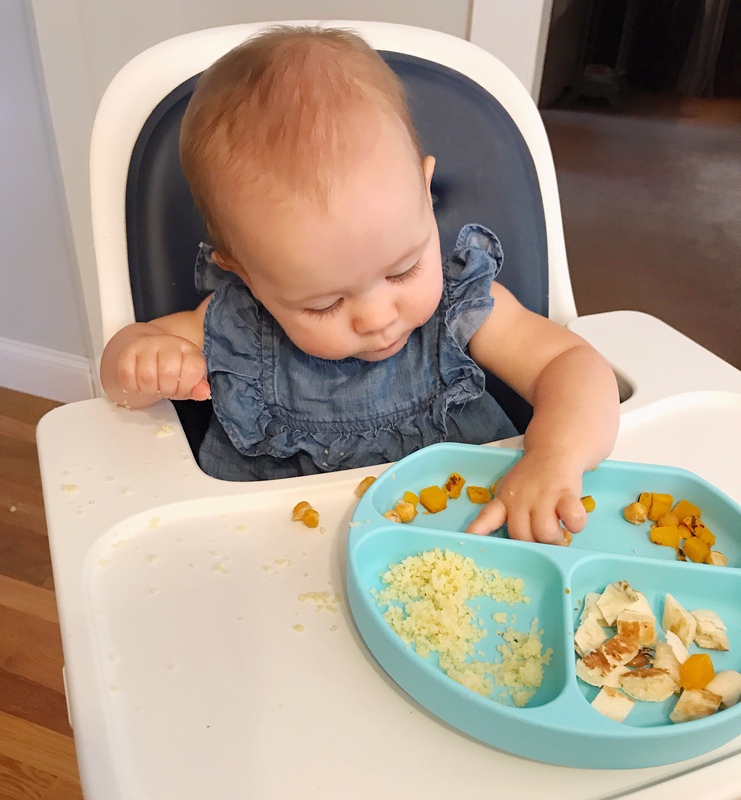 Serve reserved squash, chickpeas, and couscous with naan for children.